Remove the two screws, which secure the taillamp assembly. 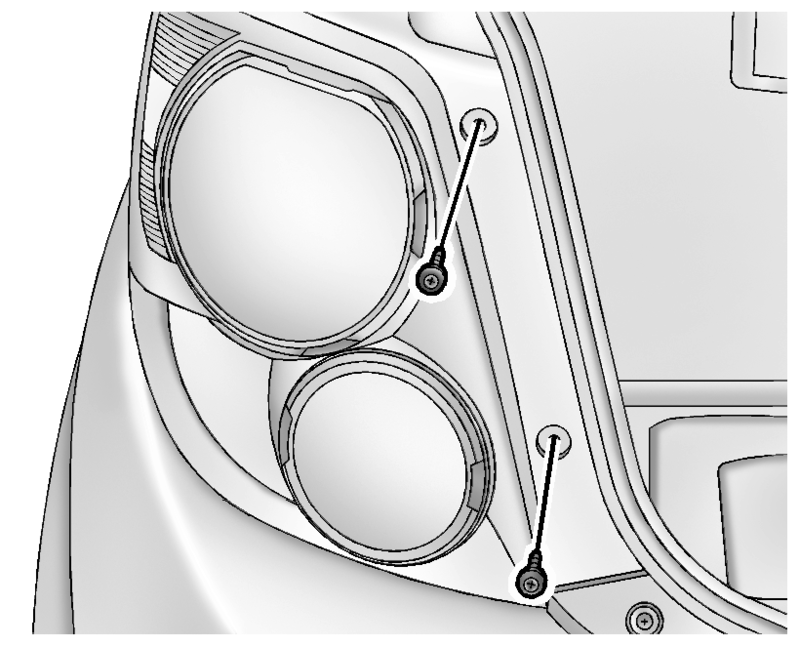 Remove the taillamp assembly by pulling it straight back until the two posts disengage from the grommets. 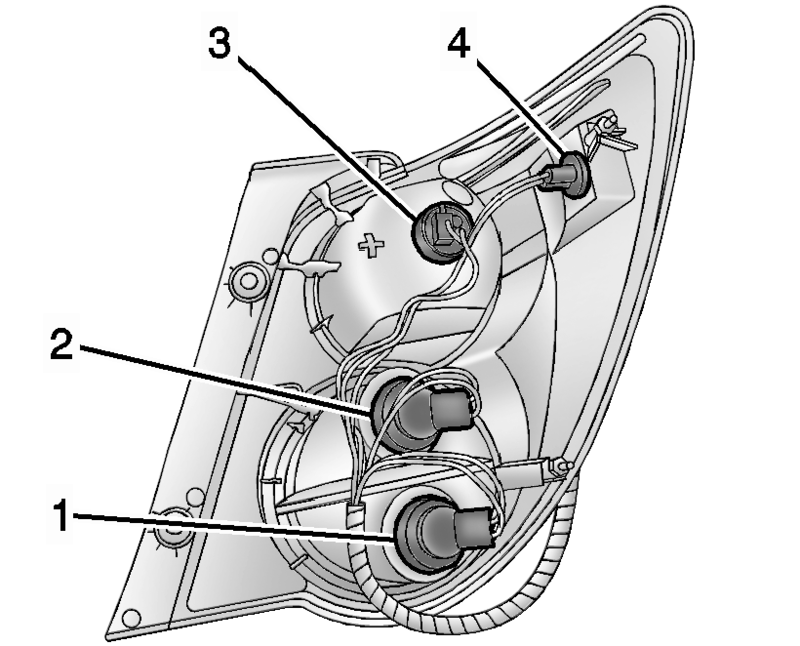 Remove the bulb socket from the taillamp assembly by turning it counterclockwise. Remove the bulb by pulling it straight out. Install a new bulb into the bulb socket. Install the bulb socket into the taillamp assembly by turning it clockwise. Install the taillamp assembly and tighten the two screws.